Pam Golding Properties is recognised locally and internationally as Southern Africa's leading independent real estate group and the country's most awarded real estate company. Recently winning International Property awards for Best Real Estate Agency, Best Real Estate Marketing and Best Real Estate Website awards for 2016/2017. Jacques De Beer, with a clear vision of putting Pam Golding Properties on the Oudtshoorn Map. purchased the Pam Golding Franchise over 12 years ago. With hard work and determination, as well as a challenging economy through the years, has grown from strength to strength. 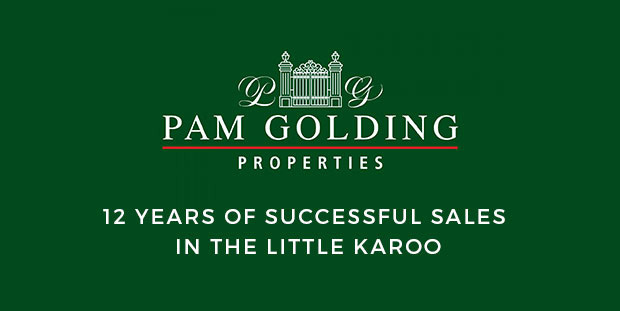 With dedicated staff and a fantastic corporate structure, Pam Golding Properties should always be the Real Estate Agency of choice, should you have any property requirements within the Oudtshoorn area. We like to believe that we understand the personal nuances that are integral in concluding successful property transactions and which serve to provide our clients with the necessary professionalism and care which they deserve. Ultimately, they need to feel like they have enjoyed a unique property experience with us. This is a fundamental commitment to those who entrust us with their property needs."